Do all current Dzogchen lineages include Guru Rinpoche? Bon lineages I would imagine don’t necessarily include him. I’ve never encountered a Buddhist Dzogchen lineage that doesn’t have him in there in some way. 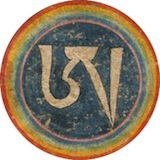 Vima Nyingtik doesn't go through Padmasambhava. Also Semde and Longde. Yes semsde and longde dont seem to be connected to G.R. 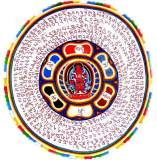 All i know is that the root of semde is Garab Dorje and that of longde Heruka Ngondzog Gyalpo. bon is connected with prahevajra without GP? No, they have their own sources. Whether one accepts them or not is another topic. Semde and Longde go through Vairochana.